We are looking forward to welcoming all our new students for the academic year 2018/2019. We hope that it is an enjoyable time for everyone. 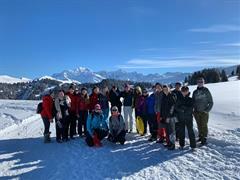 2nd Year French exchange to College Jeanne D'Arc in Albertville.